I went to see my mom yesterday and when she said she had a Zumba class, I decided to join her. Say what? Me doing the Zumba? The truth is, I have two left feet, unlike my sister Joy who was a member of the Junior Bayanihan Dance Troupe during our elementary days. After class she would go to her dance rehearsals while I played softball or volleyball with my friends. Anyway, back to my story. 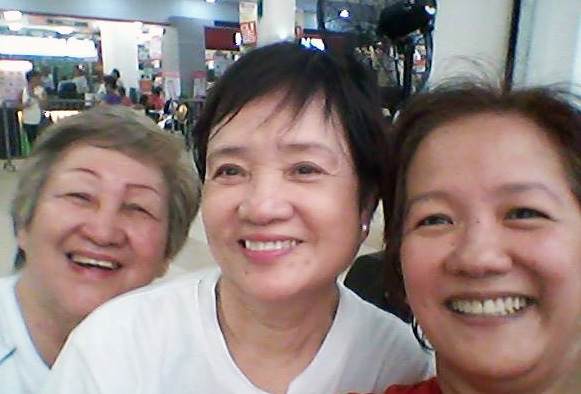 My Zumba classmates were mostly senior citizens. But don’t underestimate them. Their energy was high. They occupied the first three rows of the dance floor and the last two rows were for the younger ones. The class started with a warm up. “This is easy,” I told myself. But when we got to the main workout, I got lost. Sometimes I couldn’t follow the dance steps. 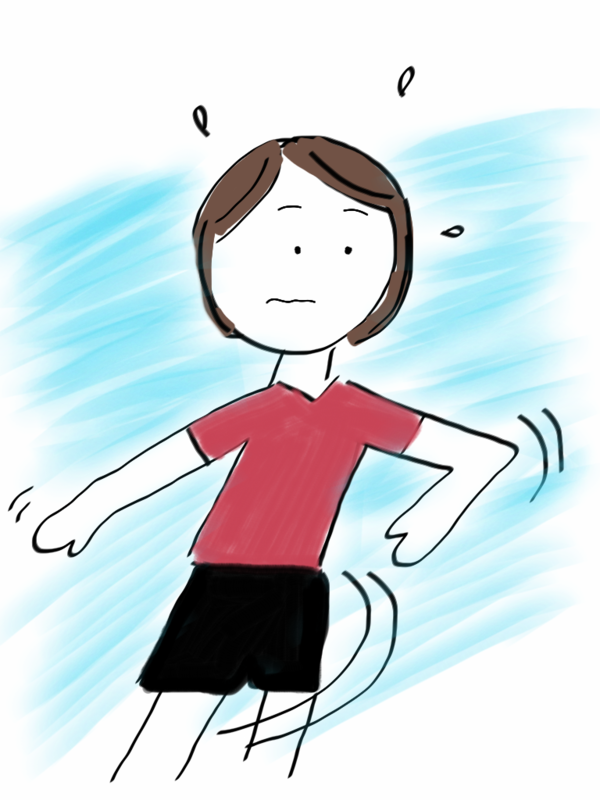 I didn’t know how to shake my booties nor rotate my hips! My body was just too stiff. Think about a robot trying to be graceful. Haha! Instead of worrying about my lack of gracefulness, I just decided to enjoy the class. Where else can I try something totally new, be awful at it, and still nobody would care? Once in a while it is good to get out of our comfort zones. My legs actually felt sore during the class. You see, there were a lot of sideway movements. 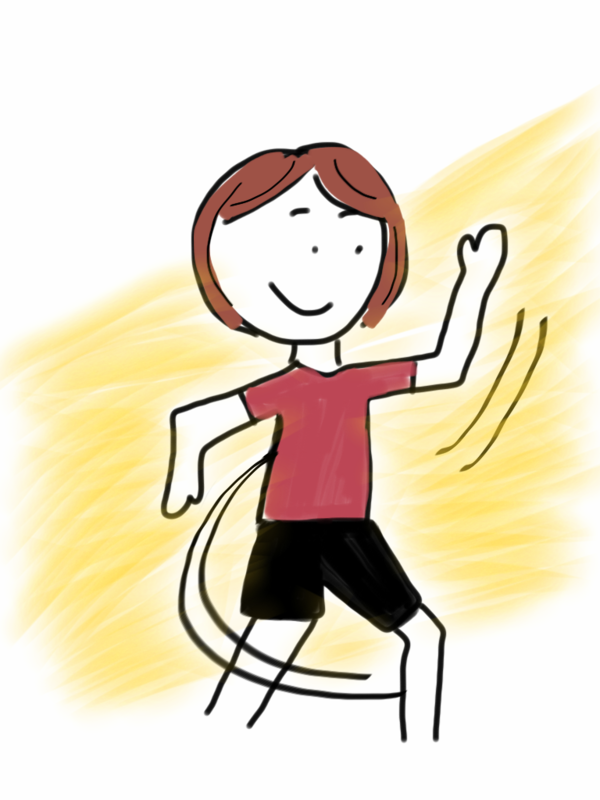 In distance running, we were told to limit moving sidewards to save precious energy. The goal was to move forward. When I trained for the marathon, there were occasions that I’d run sideways but only in drills. Yesterday’s Zumba really gave my body a beating. It was intense. My shirt was soaking wet after. So Ma, thanks for inviting me. I hope to join one of your classes again. With Tita Cor and Ma. The seniors are so impressive that they’re into it for a full hour or so! Way to go for trying something new, Sandi!